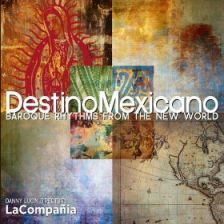 Lotte features on an album of late-Renaissance Mexican songs alongside tenor Daniel Thomson and the La Compania Renaissance Band, directed by Danny Lucin. Recorded in Melbourne and released in 2014, this album was praised by several publications including Gramophone Magazine, International Record Review UK, Early Music Oxford Journal OUP, and Historic Brass Society US. From 2011 to 2015, the Australian National Academy of Music and the Melbourne Recital Centre presented the Australian Voices concert series, celebrating significant Australian composers. Included was a programme of chamber works by Stuart Greenbaum (b. 1966). This recording, released on ANAM’s own imprint, features Greenbaum's chamber works. Lotte features on Four Finalities, a song cycle with text by Ross Baglin.